On the edge of Godfrey, close to grocery, pharmacy, restaurants and more. 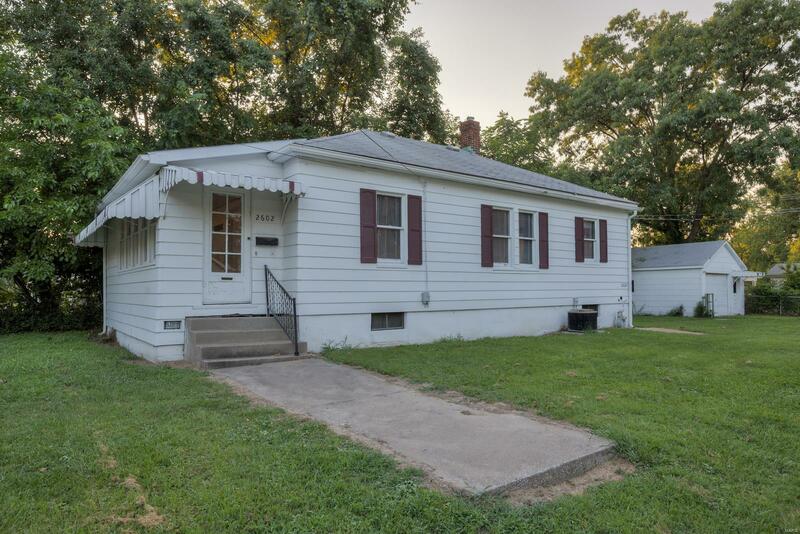 Great starter, retirement or investment home, close to many amenities, enclosed 13 x 7 carpeted front porch, enclosed 12 x 10 back porch with big closet. Open dining room to living room, updated kitchen and bath, super walk in closet in MBR, furnace and AC newer, 15 x 20 garage has concrete floor. Do not let this one slip through your hands, make your appointment today. Buyer and agent to verify all MLS information including all measurements.